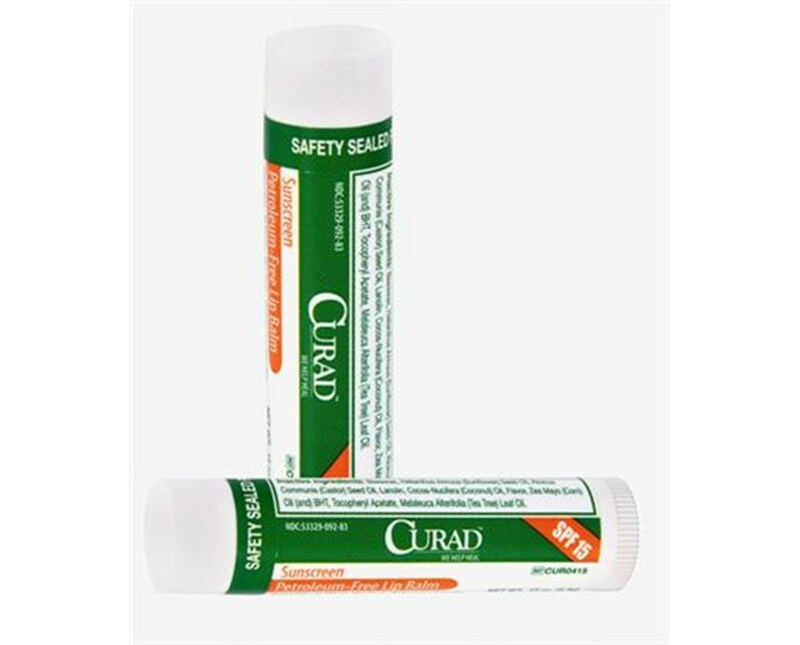 Curad's Lip Balm with SPF 15 is petroleum free and helps prevent dry, chapped lips with natural ingredients. 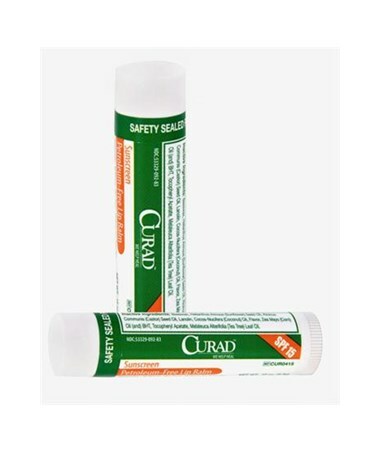 The .15 oz stick is mint flavored and latex-free, sold by the pack (24 per pack). Order online direct by clicking "add to cart!"